Okay, real talk, every week I look at social media there’s a new fad about how to do your makeup. Baking, contouring, using tape and last week, I watched a girl apply her highlighter using a fork held against her nose for shape guidance! A fork. I kid you not. So, to help distinguish between a Kim K contour creation and just another ridiculous make up trend, Rochelle O’Brien Makeup Artist has become our Guru..
REAL DEAL: Soft contouring using powder contour to subtly enhance features is a good idea. Save the heavy Instagram and YouTube cream contour for nights out. JUST ANOTHER TREND: Baking is an Instagram trend that isn’t necessary or realistic in real-life. FOUNDATION FAVOURITE: Hands down. Dior Forever Undercover 24 Hour Foundation. No competition. SET IN SPRAY FOR DAYS: Urban Decay All Nighter setting spray. Amazing stuff. No myth, it will last all day and all night! MOTHER-OF-THE-BRIDE MAGIC: Charlotte Tilbury Light Wonder foundation is gorgeous on more mature skin. Do you have any top tips and advice for pre-wedding flawless skincare? How long before the big day should brides be prepping their skin? Brides need to start a good skincare regime at least six months before the big day. Exfoliation and moisturising is the top priority. From a makeup artist viewpoint makeup will not sit properly on dry skin so a good moisturiser is a must. The night before the wedding!! What skin care routine would you recommend? No facials or anything drastic before the big day as you risk unsettling your skin. Finish facials a week before. The night before just a gentle cleanse and moisturise will do. 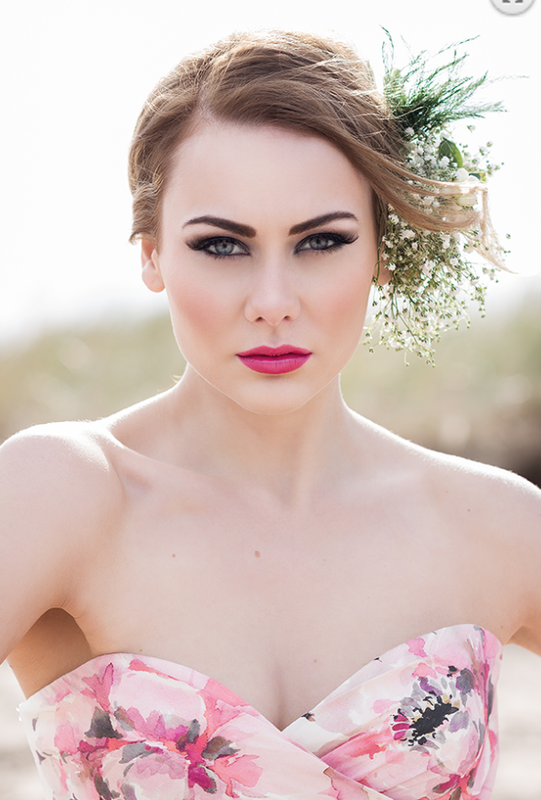 Remember to get in touch with the insanely talented Rochelle for your bridal makeup. Published on June 18, 2018 by Mary Jeremiah.